Imagine how much safer we’d be if everyone routinely carried a loaded handgun. I drove back to the city to have lunch with Sybil, and she led us to Eatsa at 121 Spear Street. What a delightful adventure that was. 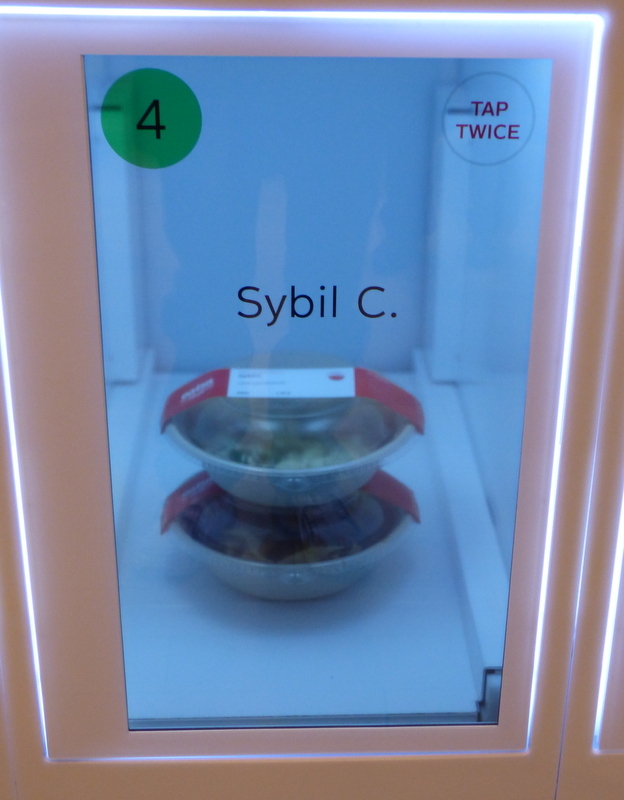 Eatsa is certainly the most high tech eating experience i’ve ever had. It’s located in the Rincon Center, positioned to ambush you on your way in to Yank Sing. Just inside the door, you stop at one of the terminals, order your meal, and pay with your credit card. No cash. No waiters. The menu is short, just six bowls to choose from – all vegetarian, all featuring quinoa, and all $6.95. The only sides available are their own porcini-dusted potato chips, quacamole, and about a half dozen non-alcoholic cold drinks. Step away from the terminal and almost instantly your name appears on a screen high on the wall above a bunch of cubbies in the next room. 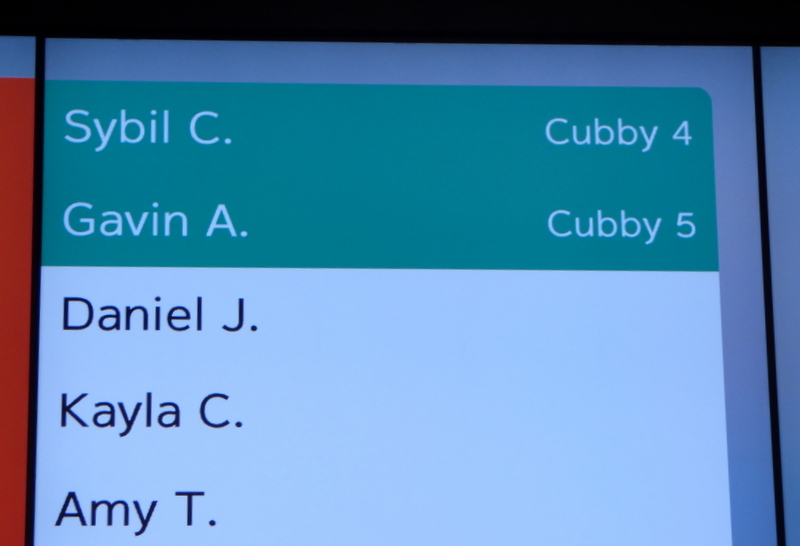 In no time at all, literally three or four minutes, you’ll notice that your name has reached the top of the list with a cubby number beside it. 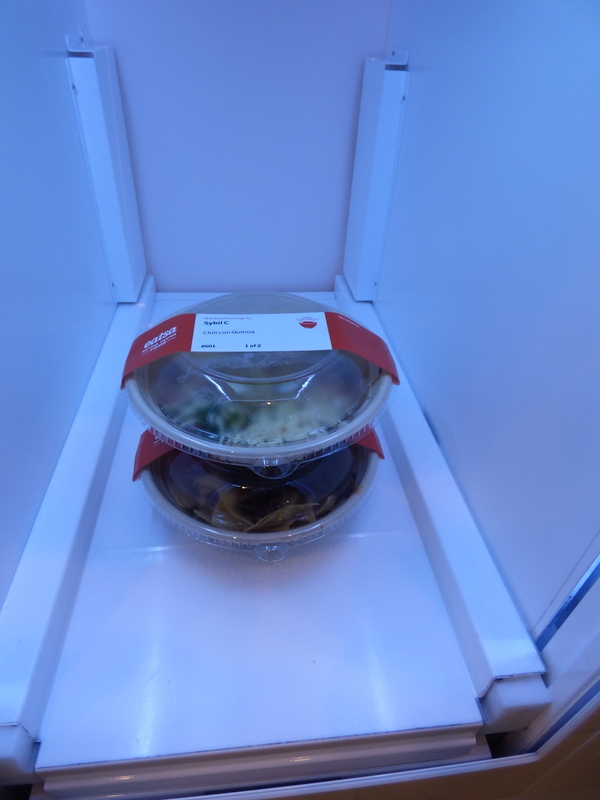 Sure enough, your complete order is in that cubby, piping hot…well, if it’s supposed to be. Tap twice, and the door opens, allowing you to remove your order and take it to the countertop running all along the wall or to a table on the patio. I had the Burrito Bowl, consisting of Guacamole, Salsa Fresca, Queso Mexicano, Asada Portabello, Grilled Corn, Warm Lemon-Herb Toasted Quinoa, Tortilla Chips, and Seasoned Pinto Beans. It was quite tasty and the portion was more than adequate. What a strange experience. The sole visible employee was a guy at the door whose only function seemed to be to answer questions from newbies, not necessary for Sybil, she being an old hand. Would i go back? Ummm, yes, if i happened to be right there and hungry and since i’m a bit curious about a couple of the other bowls. Most likely, the reason i’d go back would be to take someone there for a wonderfully strange dining experience. Well, or to take a photo of the artfully arranged bowl with the lid off. In New York City in 1959, we called this an automat and it was very, very high tech or avant garde, I think we said then. Sybil, being from New York, of course mentioned the tie to the automats, but i forgot to mention it. So thanks for bringing that up. 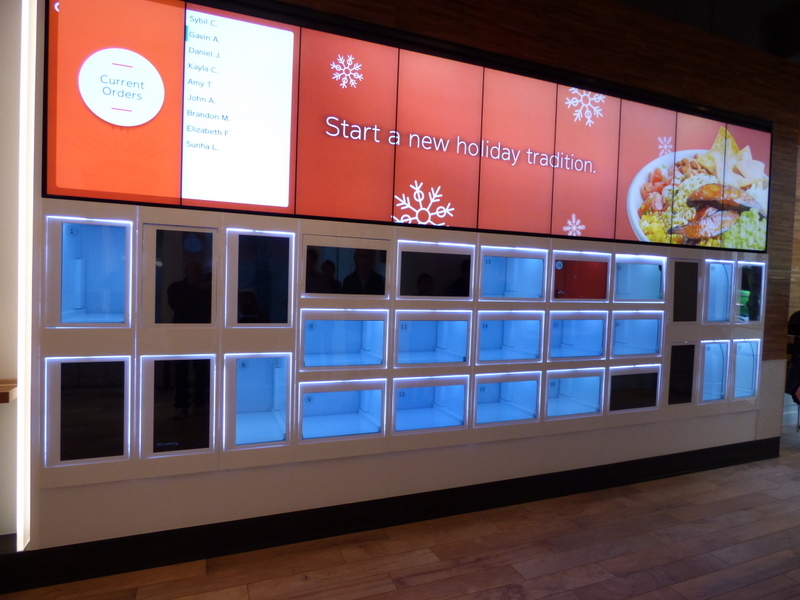 Somehow, i doubt Eatsa will enjoy a run as long as the automats did in NYC. You are braver than I. I would have turned around and walked back out within 3 feet of the front door. Well,if i’d just walked in cold, i’m sure i’d have just walked right back out myself. However, Sybil (who knows her food) wanted to take me there. Besides, i cheated and read some reviews. The experience of eating there is wonderfully bizarre, and the food is surprisingly tasty.